It’s a great time to find fantastic workspace to rent for your business. Boxpod seeks out some brilliant advice from Search Office Space to help you chose the best commercial property and make the most of your new rented office space. For businesses new and established, there’s never been a better time to look for a new office: the flexible workspace market has boomed in recent years, making the choice and quality of office space abundant. 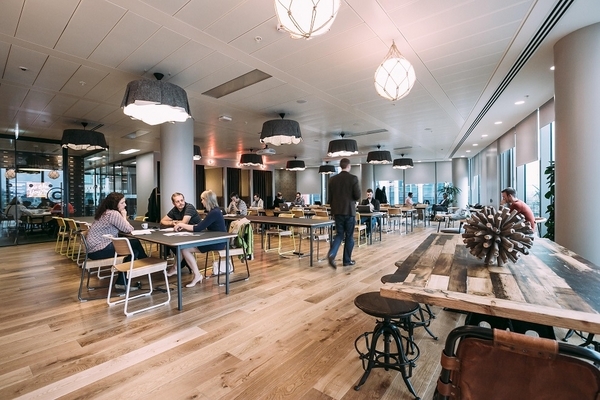 Global operators like WeWork and Spaces have helped to innovate the scene, setting a precedent for well designed properties that cater for collaborative and independent working styles and newcomers are following in their footsteps every month. Like many things however, it can sometimes seem like there’s too much choice, and it can be difficult for businesses to know where to start. If you’re on the lookout for a new home for your business, devising answers to the following questions will help you define your requirements and determine which style of office is best for your business before you start your search properly. 1. How long will it take your employees to commute? Research from the Office for National Statistics (ONS) shows that 3.7 million working Britons spend two hours commuting every day: those travelling to and from congested cities know this isn’t an enjoyable experience. It’s important to ensure your new office is accessible to everyone in the company, and to make this possible, it helps to identify a midpoint. Online route mapping platforms like eSpatial and TravelTime Maps will help you to work out the very best location for your team in terms of transport links and commuting time. They also allow you to map out sales territories and provide useful visuals. 2. Where’s convenient for your clients? This goes without saying. Where do you do most business? Are there any emerging markets you’d like to prioritise? If so, base your business in one of them, or make sure you can be reached easily by your (inter)national client base. If you’re a tech company, consider relocating to a hotspot. 3. When do you actually need to move? If you’re already a serviced office occupier you can move on short notice – usually one to three months. If you’re leasing a space, you may need to wait until the break clause can be enacted, or alternatively sublet the space to another company. Many say the best time to move office is in January because that’s when operators open new centres and offer incentives like rent-free periods. Conventional offices are let (and sold) on a square foot basis. In London, it is generally agreed that 100 sq ft per employee is sufficient – that’s 50 sq ft for actual deskspace and 50 sq ft for additional space like lavatories, breakout areas etc. Serviced offices and coworking spaces are let on a ‘per desk’ basis and all other space (excluding WCs, usually) is shared, meaning you don’t have to do any maths! Obviously, this a big factor when it comes to deciding on a location. According Search Office Space’s 2017 Flexible Workspace Report, the cost of a workspace in London is 60% higher than the rest of the UK, at £550 per desk. In these uncertain economic times, you’d be hard-pressed to find anyone in business who doesn’t appreciate the value of financial flexibility. No longer do businesses want to be tied into leases of five years or more; flexible contracts are becoming the most practical and popular route to securing space. So, will you opt for ‘serviced’ or ‘leased’? Don’t be fooled: there are benefits to leasing a conventional office space too. Many larger, well established brands enjoy the security that comes with a leasehold, along with the fact that they have more freedom when it comes to the fitting out their space. That said, serviced offices (including coworking spaces) are no longer the sole domain of the startup or SME: big businesses can rent a whole floor in a section of a serviced centre on a flexible contract, whilst still having autonomy over fit out and design. Where will best reflect your brand’s identity? Matching your workspace with your brand’s identity will help to impress clients and attract the best talent. If you’re in professional services, you might want to opt for somewhere more formal that facilitates confidentiality. Creatives, startups and those in the tech sector are often attracted by vibrant, social environments such as this one. Will the nearby amenities suffice? Where will you host your next Christmas party? If your business is sociable, are there sufficient establishments close by for post-work drinks? The quality of nearby amenities can affect the wellbeing of your staff, the satisfaction of your clients and how successful your business is! 10. Do you value the opinion of experts? If you value your time and want some expert, impartial advice, speaking to an office space broker is a must. They will listen to your needs and preferences and help you navigate the market, free of charge. Written by Search Office Space, the UK’s first flexible workspace consultancy, specialising in serviced offices and coworking spaces.